The measure of a successful school marketing strategy lies in its ability to maintain a steady stream of prospective families in the school enrollment pipeline. Unfortunately, many schools are still relying too heavily on traditional marketing efforts and their prospect pipeline may be experiencing drought conditions. You need a strategy that attracts the right parents with the right information right when they need it. One that builds trust rather than annoys. 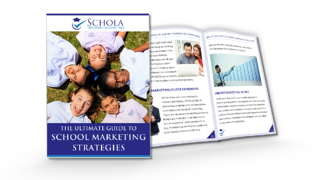 This guide will help you understand school inbound marketing and how it gets results for schools just like your school.